4) Anti-collision system for print head. 5) Mute guide rail lead screw. 6) The noise are controlled under 40 DB while printer working. 7) Germany-imported IGUS drag chain. 8) Utilize Germany-imported drag chain on X axis, ideal for protection of cable and tubes under high speed motion. 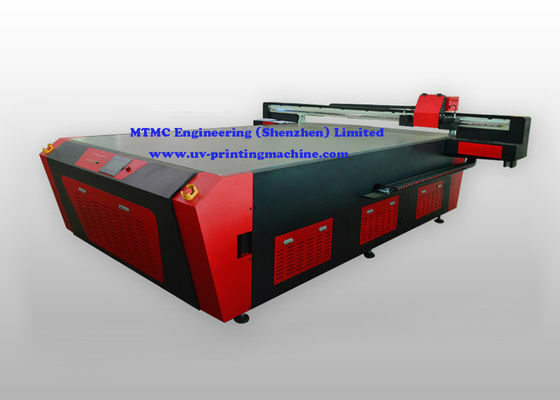 9) Utilize with our anti-collision system for print head, easier to adjust for different substrate, avoid any chance to damage print head under any misoperation. 10) Use double lead screw driving system, guarantee printing resolution and quality, longer printer lifespan. The printer can print on rigid and flexible medias such as steel, aluminum, glass, ceramic, crystal, plastic, PVC, wood, leather, and so on. Stationery, fridge, air conditioner, leather bag, wood furniture, etc. 1) Ricoh print head GEN5 with grayscale printing technology, save cost by about 30%. 2) Advanced cooling system, ensure printer working continuously 24 hours a day, 7 days a week. 3) User-friendly touch screen design. 5) Smart pressure ink supply system. 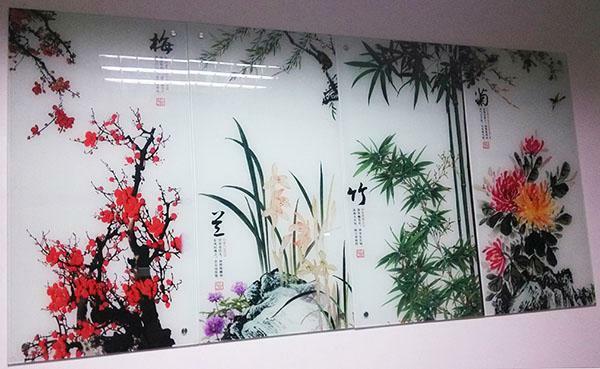 6) 2000 mm x 3000 mm printing size suitable for large images printing usage.